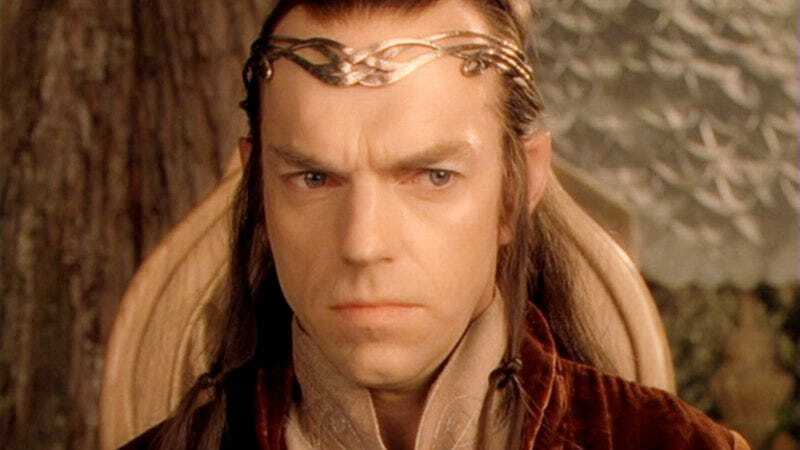 Peter Jackson and his long-time elf accomplice Hugo Weaving are teaming back up, with Variety reporting that Weaving has joined the cast of Jackson’s Mortal Engines. Based on a series of novels by Philip Reeves, the film is being written by Jackson and his long-time writing partners, Fran Walsh and Philippa Boyens, with Lord Of The Rings visuals vet Christian Rivers set to direct. Outside his periodic Middle-earthen duties—last enacted in 2014’s The Hobbit: The Battle Of The Five Armies—Weaving recently appeared in Mel Gibson’s Hacksaw Ridge, playing the father to Andrew Garfield’s determined combat medic. Now he’ll be stepping into Reeves’ far-futuristic world, where society exists on the back of giant, mobile cities. There’s no word yet on what sort of part Weaving will play, but if we’re being honest, it’s pretty much a 50/50 call between “stern council member with a secretly sympathetic heart,” and “stern council member who’s actually the bad guy.” We’ll know more when the film debuts in December 2018.